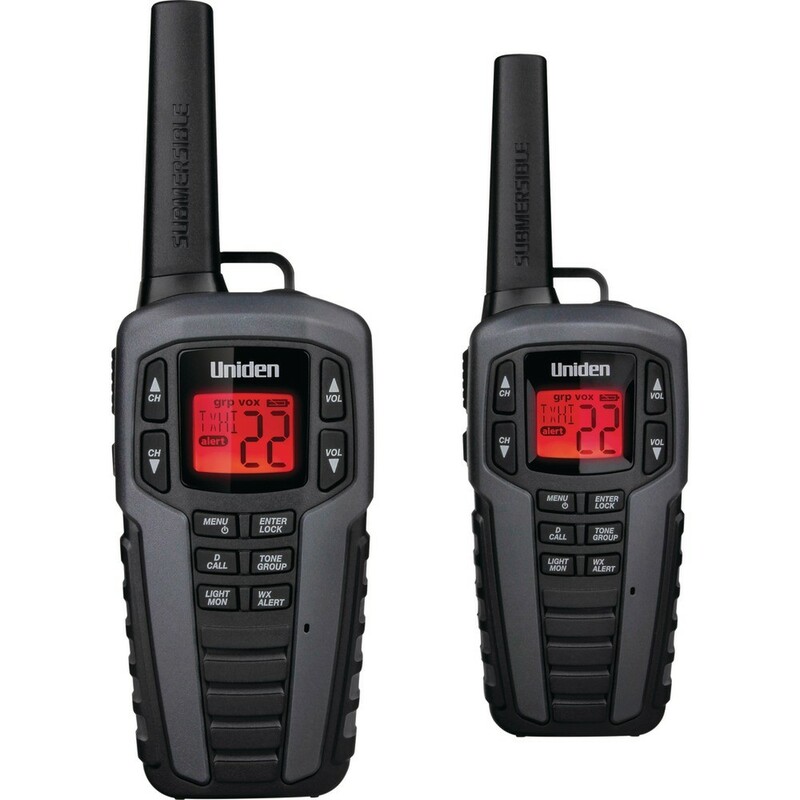 Uniden 37-Mile 2-Way FRS/GMRS Radios keep you in touch when you are out and about with family and friends. 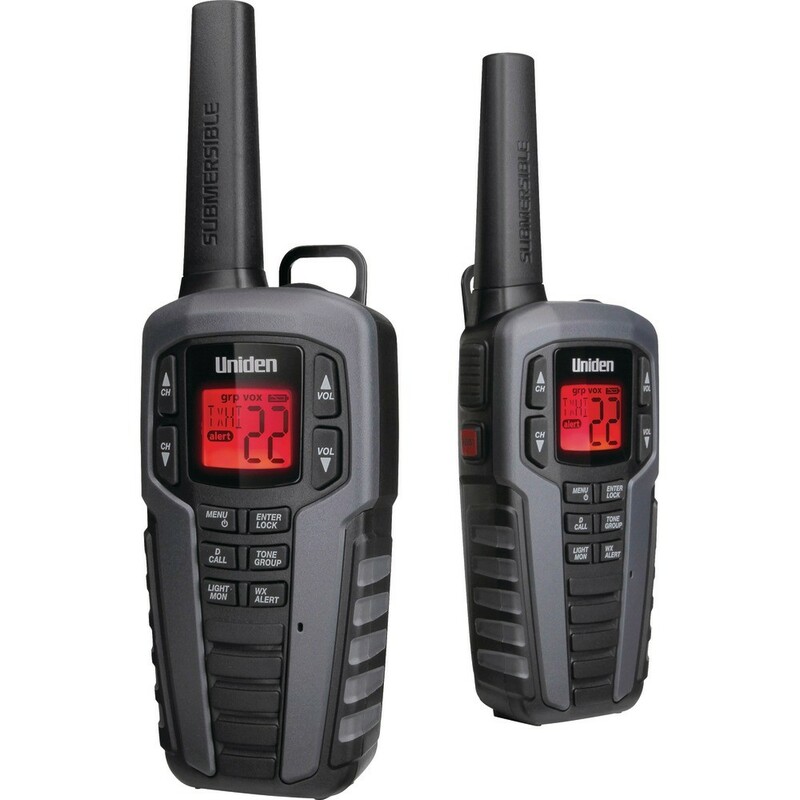 Use them when you are camping, shopping, biking, caravanning and more without using your mobile phone’s minutes or data plan. The NOAA weather channels alert you to incoming weather conditions. No license is required to use the FRS Only channels. 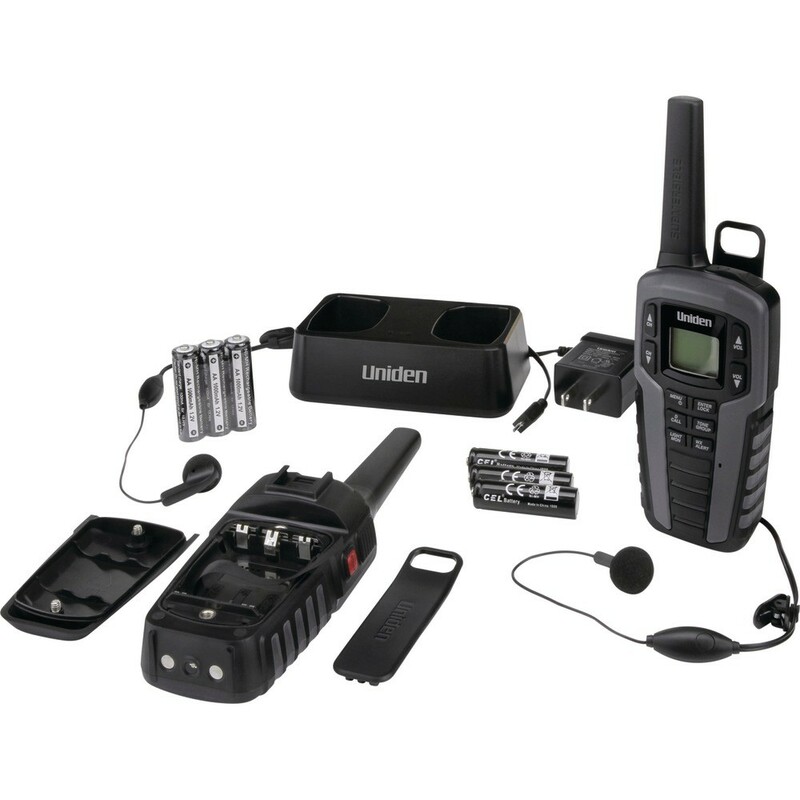 All channels operate on industry-standard frequencies, so you can easily communicate with people using other models or brands. 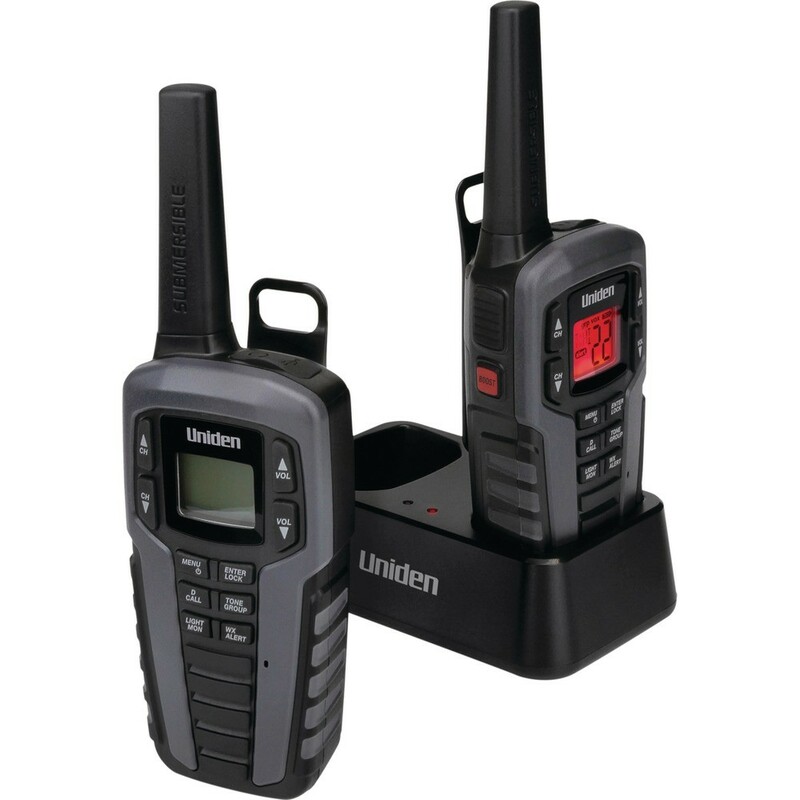 Uniden 37-Mile 2-Way FRS/GMRS 8 pack Radios keep you in touch when you are out and about with family and friends. Use them when you are camping, shopping, biking, caravanning and more without using your mobile phone’s minutes or data plan. The NOAA weather channels alert you to incoming weather conditions. No license is required to use the FRS Only channels. 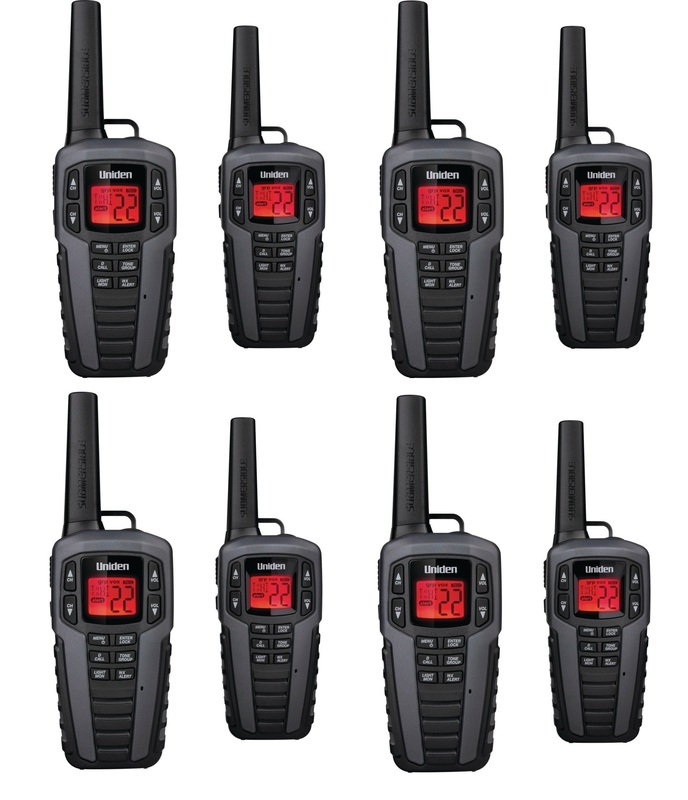 All channels operate on industry-standard frequencies, so you can easily communicate with people using other models or brands.